« Wind, wind go away! Andrew can’t help it. 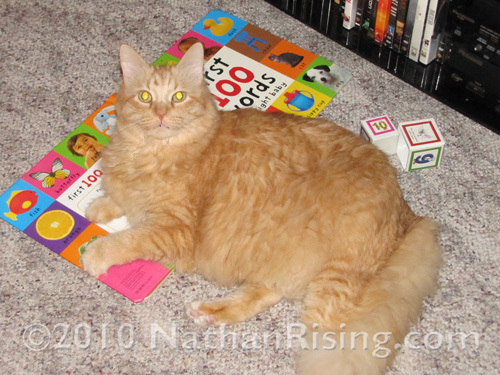 Nathan’s things have a magnetic attraction to orange tabby cats. This entry was posted by Jen on October 27, 2010 at 12:24 pm, and is filed under Pets. Follow any responses to this post through RSS 2.0.You can skip to the end and leave a response. Pinging is currently not allowed.